Judy Levine will share the joyful history and spirit of her career working with fiber. Throughout her active journey, from painting color combinations for textile companies to creating unique pieces for sale at galleries from Atlanta to Charlotte, Judy has always been motivated by her love of color and design. In particular, Judy has been on a mission to study the interaction of yarns with differing shrinkage to create original textured fabrics. 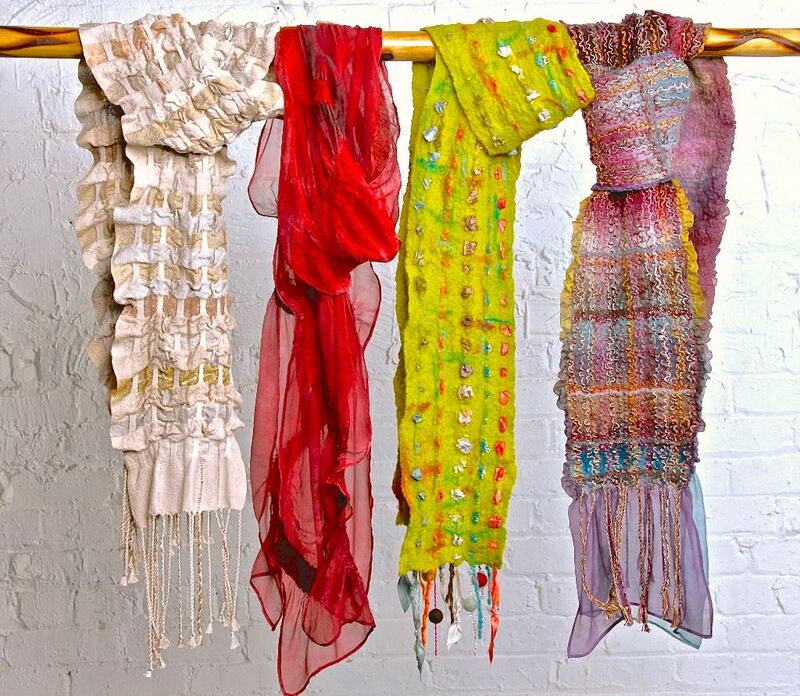 Judy creates woven scarves, felted scarves, and home decor for sale in shops and galleries. She has had a career beginning in the trenches of NYC’s garment district, then VP of Creative Design for a fortune 500 textile company before moving to Asheville where she weaves and felts for art's sake.